Brandon Steppe is a transformative force in the lives of homeless and “at-risk” teens in San Diego, California. On a daily basis, he provides a creative space for teens to escape their often challenging living situations to channel their artistic passions by offering them an opportunity to trade their good grades for studio time in a state-of-the-art facility. In turn, their lives are positively impacted in the studios at The David’s Harp Foundation. The David’s Harp Foundation was born out of Brandon’s strong faith in God, his passion for teens, and his love for music, which was cultivated at an early age. As a teenager, he honed his musical craft while attending the San Diego School of Creative and Performing Arts. A San Diego native, Brandon ventured north to San Francisco in 1998 then moved to Los Angeles to start his career in corporate management after receiving his Bachelor of Science Degree in International Business in 2002 from the University of San Francisco. After five years in corporate management with a multi-national company, Brandon launched out on faith by moving back to Southeast San Diego’s Emerald Hills community where he was born. There he built a professional private recording studio in his father’s garage where he produced, mixed, and mastered countless musical, radio, and corporate recordings. Shortly after in 2007, Brandon began to allow local teens to trade their grades for studio time. After the first few months of working with teens in his recording studio, Brandon saw firsthand that music was a powerful platform to, not only help youth achieve academic success, but also teach them responsibility and accountability while providing them with viable work and life skills. The David’s Harp Foundation received non-profit status in 2009 and has been expanding ever since. From its humble beginning in a garage studio, the organization has expanded to serve over 200 teens annually in its state-of-the-art facility located in Downtown San Diego’s East Village community. As Executive Director of The David’s Harp Foundation, Brandon is hands-on. Although he oversees the direction and vision of the organization, he has never relinquished his role as a teacher and mentor to the teens he loves. Because of his leadership and the organization’s unique “project based” curriculum, The David’s Harp Foundation boasts, on average, a 16.9% increase in the overall GPA of their students. 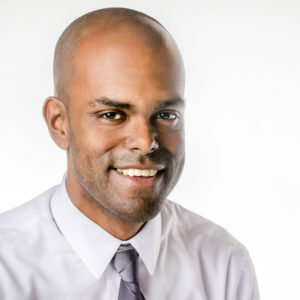 As a visionary, Brandon partners with organizations including Sony, Discovery Communications, the San Diego Symphony, Voices for Children, San Diego Youth Services and local high schools in order to leverage resources and help his students excel in life as they create relevant digital content that impacts their community.